Perhaps the most comfortable ship offering public sightseeing tours, the Statue of Liberty Express aboard the Zephyr Yacht offers a great one-hour tour of the New York Harbor. The Zephyr Yacht features comfortable seating both inside and out and a knowledgeable tour guide provides live commentary throughout the cruise. You'll also get a close-up view of the Statue of Liberty during the tour. 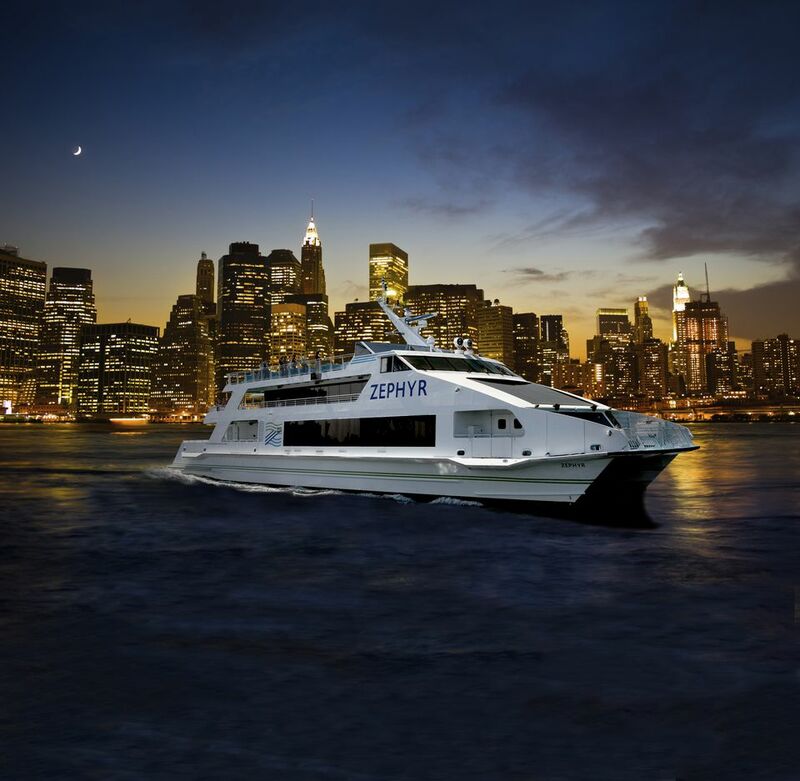 Riding aboard the Zephyr Yacht is a great way to enjoy the New York Harbor, as well as to learn about New York City and get a sense of the City's geography and layout. The one-hour tour travels southwest from South Street Seaport to the World Financial Center and back, passing underneath the Brooklyn Bridge before returning to the Pier. A live tour guide narrates throughout much of the tour through the ship's PA system, pointing out various attractions and landmarks, sharing New York City's rich history and even offering to give visitors tips and answer questions once the tour is complete. The Zephyr holds up to 600 passengers, has indoor and outdoor decks, two snack and beverage bars, very clean ​bathrooms and comfortable, plush seating. The Statue of Liberty Express sightseeing cruise is probably the best of the many one-hour cruises around Manhattan. Snacks and drinks (including a full bar) are available for sale on the boat. Well maintained bathrooms are located on the main floor of the Zephyr. Pictures are best taken from the upper decks, but you can best hear the narration from inside. Bring a sweater or jacket along for the ride. Even when the weather is warm, it will be breezy on deck and the air conditioning inside can make you chilly too. Don't forget your sunblock -- the breeze can make you feel deceivingly cool, but you can still get burned. If you want to be sure of availability for a particular cruise, you can order tickets in advance by through their website. There is a $1 ticketing fee for tickets booked online, but that's a small price to pay to avoid disappointment. This is especially true during the summer and other peak travel times. You'll want to arrive 15 minutes before your scheduled departure even if you buy your ticket in advance. Circle Line Downtown's Statue of Liberty Express Cruise Schedule - be aware this cruise isn't offered in January or February and has limited schedules during off-peak travel times and cooler months.